Win a tipi wedding with World Inspired Tents! Here at Wed, we’re delighted to share our tenth anniversary year with the wonderful team at World Inspired Tents. The company has earned a glowing reputation for their top-notch service, high quality products and impeccable attention to detail over the past decade – and, one glimpse of their spectacular tipis, and it’s difficult not to fall head over heels with the possibilities of a tipi wedding. From sunny days where the light and surrounding views pour in through the raised sides to cosy winter celebrations filled with open fires and fairy lights, they offer an irresistible magic, not to mention versatility, flexibility and the most stunning canvas to dress in so-you style. 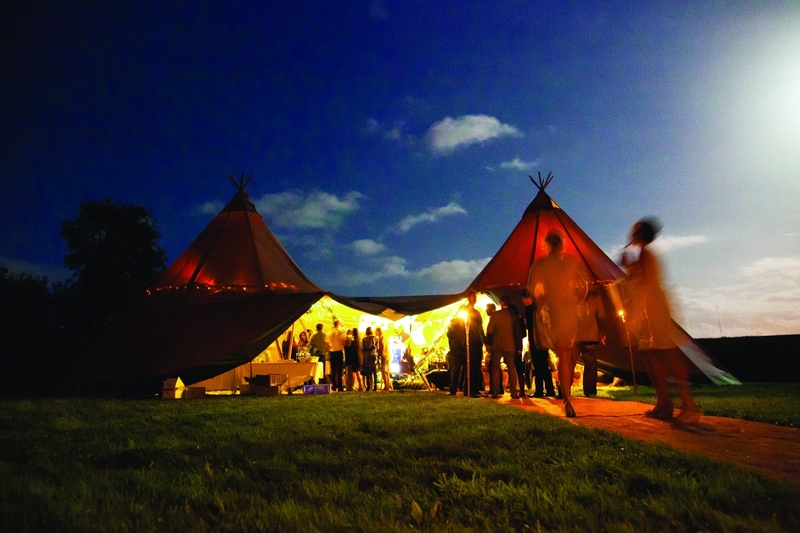 To mark our joint anniversaries, the team has a very special prize to give away to a lucky couple: a World Inspired Tents Tipi wedding for up to 100 guests to include two linked giant Nordic tipis, tables and benches to seat 100 people, lighting, matting, a dance floor and heater. 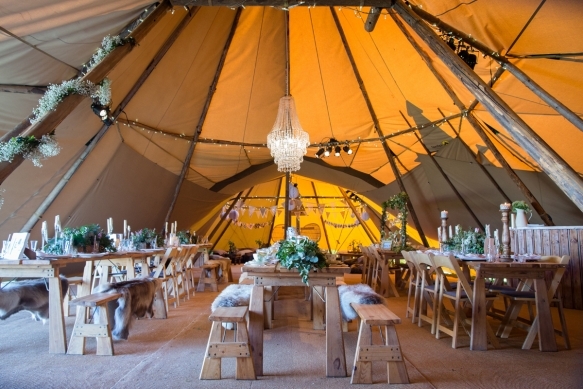 This is such a fantastic prize and we couldn't be more thrilled to celebrate ten years of Wed pretty and top tipis by gifting one lucky couple with this incredible opportunity. Big thanks to team World Inspired Tents! Send an email to wed@wedmagazine.co.uk entitled ‘Win a tipi wedding’ and include your name, address and contact number. The closing date is 1st July 2017. Please see terms and conditions below. Delivery charges will apply, to be charged at cost from the World Inspired Tents base at EX31 4JL. Other furniture options and accessories can be added and capacity increased at winner’s expense. Land/venue hire, lavatories, power, catering and other services are not included. Availability for specific dates cannot be guaranteed. World Inspired Damage Waiver must be paid by the winner, unless adequate insurance is provided by the winner. Competitions close on specified closing dates. Entries are restricted to residents of the UK. Prizes are as stated, are not transferable and no cash or other alternatives will be provided. Only one entry per couple is permitted per competition. The winners are responsible for expenses and arrangements not specifically included in the prizes, including any delivery charges and damage deposits. Prizes are subject to the prize suppliers' terms and conditions. In the event of a prize being unavailable, the supplier reserves the right to offer an alternative prize of equal or greater value. The winners agree to the use of their name, photograph and will cooperate with any other reasonable requests by Wed Magazine and the supplier involved relating to any post-winning publicity. Wed Magazine reserves the right to amend or alter the terms of competitions and reject entries from entrants not entering into the spirit of the competition. Unless stated otherwise, the winner will be drawn at random from all entries received by the closing date. Reasonable efforts will be made to contact the winner. If the winner cannot be contacted, or are unable to comply with these terms and conditions, Wed Magazine reserves the right to offer the prize to the next eligible entrant drawn at random. Where applicable, the decision of Wed Magazine is final based on the criteria set out in the competition and no correspondence will be entered into over this decision. Competitions may be modified or withdrawn at any time. World Inspired Tents to be added to their mailing list. Again, entrants can unsubscribe at any time.